We Hit The Streets For Long Beach’s Buskerfest! Designed to be the pièce de résistance of SAM, BuskerFest stemmed from the notion that Long Beach’s untapped wealth of extremely talented musicians deserved a unique celebration all their own. It’s a notion that, in its fourth year, was pretty well-founded. 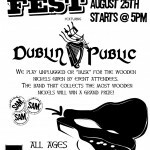 The fourth annual BuskerFest will close out Summer And Music 2012 on Saturday, August 25. After a few BuskerFest veterans open the busking stagers at 5 p.m., nearly a dozen local bands will fill Downtown Long Beach’s East Village Arts District with stripped-down street sets. 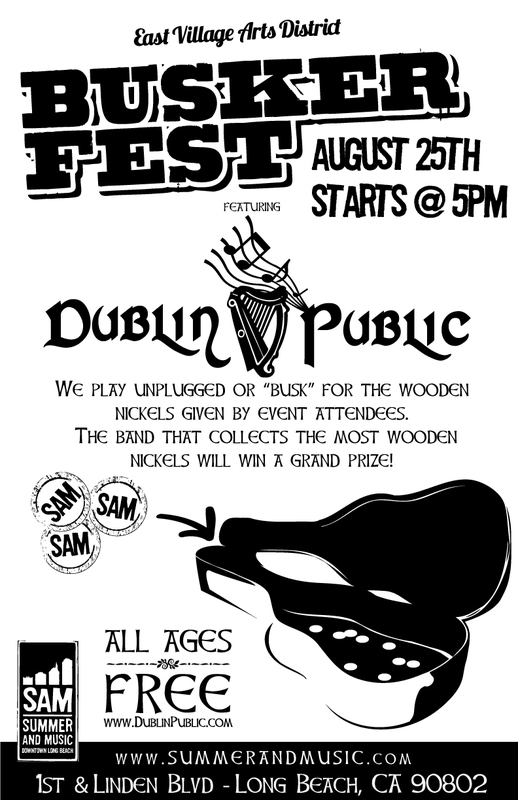 From 6 p.m. to 8:45 p.m., performers will play unplugged or “busk” for the wooden nickels given by event attendees. The band that collects the most wooden nickels will win a grand prize. The winner will be announced at the end of the night. Headlining is Beachwood Sparks, Sub Pop’s long-standing country-indierock band making vintage Laurel Canyon sounds for more than a decade. Taking a break from recording their second full-length, Long Beach’s homegrown indie-rock band The Fling will be opening up for Beachwood Sparks on the main stage. Before the headliners, Sea Funk Brass band and last year’s BuskerFest winner Wild Pack of Canaries will open up the busking stages, followed by performances from 10 deep-rooted and up-and-coming Long Beach groups listed below. The night’s festivities will also include a fantastic beer garden, the TacoRog food truck and a post-BuskerFest dance in the streets with long-time favorite DJ Lithuanian Prince. As the event is located in the East Village, there are plenty of nearby restaurants and cafes to frequent between busking sets. Stage decoration will be handled by Gypcee Trunk Show. Ride Your Bike! Free Bicycle Valet Parking (Courtesy of Long Beach Cyclists)! BuskerFest Stage Openers (non-competing) | 5:00 p.m. – 6:00 p.m. Competing Buskers | 6:00 p.m. – 8:45 p.m. Headlining Bands | 8:45 p.m. – 10:30 p.m. Spins by DJ Lithuanian Prince!